A recent study has determined that several artificial sweeteners -- all of which are approved by the Food and Drug Administration (FDA) -- are toxic to consumers’ digestive systems. The sweeteners, which included aspartame, acesulfame potassium-K, neotame, advantame, saccharine, and sucralose, and 10 sports supplements that contain these flavors, have gained popularity because they don’t have as much sugar. However, many people are unaware the foods and drinks they’re consuming have these sweeteners in them. “The results of this study might help in understanding the relative toxicity of artificial sweeteners and the potential negative effects on the gut microbial community, as well as the environment,” said Professor Ariel Kushmaro, John A. Ungar chair of Biotechnology Engineering in the Stella Goldstein-Goren Department of Biotechnology Engineering. Researchers from Ben Gurion University used bioluminescent bacteria from E. coli to test the effects of the six sweeteners and the 10 sports supplements on the digestive system. “We modified bioluminescent E. coli bacteria, which luminesce when they detect toxicants, and act as a sensing model representative of the complex microbial system,” Prof. Kushmaro said. After interacting with just one mg/ml of the sweeteners, the bacteria in the digestive system was found to be toxic. 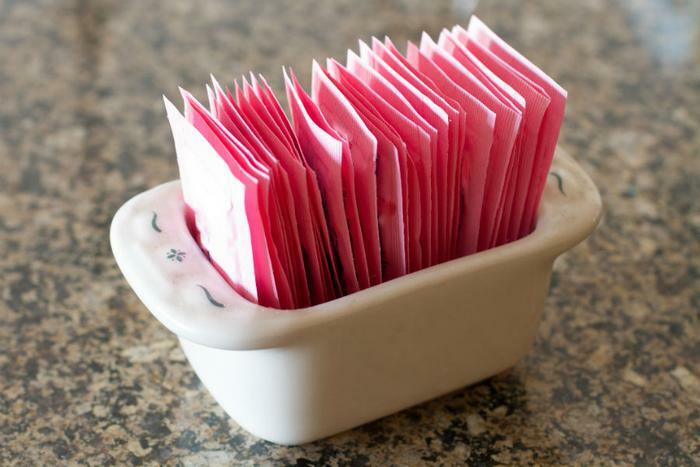 “This is further evidence that consumption of artificial sweeteners adversely affects gut microbial activity, which can cause a wide range of health issues,” noted Prof. Kushmaro. The effects artificial sweeteners have on consumers’ health continues to be a popular area of research, as many of the findings from previous studies have been inconclusive or conflicting. While many are drawn to the promise of lower calories, researchers have found some health risks associated with the flavorings. Last April, a study found that consuming low-calorie, artificial sweetener in excess could cause your body to accumulate more fat. “From our study, we believe that low-calorie sweeteners promote additional fat formation by allowing more glucose to enter the cells, and promotes inflammation, which may be more detrimental in obese individuals,” said Dr. Sabyasachi Sen, an Associate Professor of Medicine and Endocrinology at George Washington University, and the study’s lead researcher. Sen was particularly concerned because these findings were more prominent in people who were already obese and consuming the low-calorie sweetener in an effort to lose weight. People with diabetes or prediabetes were also exposed to increased risk due to the increase of glucose in the cells. However, where weight loss is concerned, a study at the end of 2016 found that in the short-term, deciding between sugary beverages and beverages with artificial sweetener produce the same result. The researchers found that insulin levels, daily energy, and glucose levels remained the same for all 30 male participants in their trial, regardless of whether they consumed a beverage with sugar, aspartame (a plant-derived artificial sweetener), or monk fruit. The researchers believe the reason to be that the food consumed throughout the day made up for the calories not found in the artificially-sweetened beverages. However, a key finding was the short-term nature of this study, as the researchers did point out that artificial sweeteners do affect body weight and energy levels in the long-term.